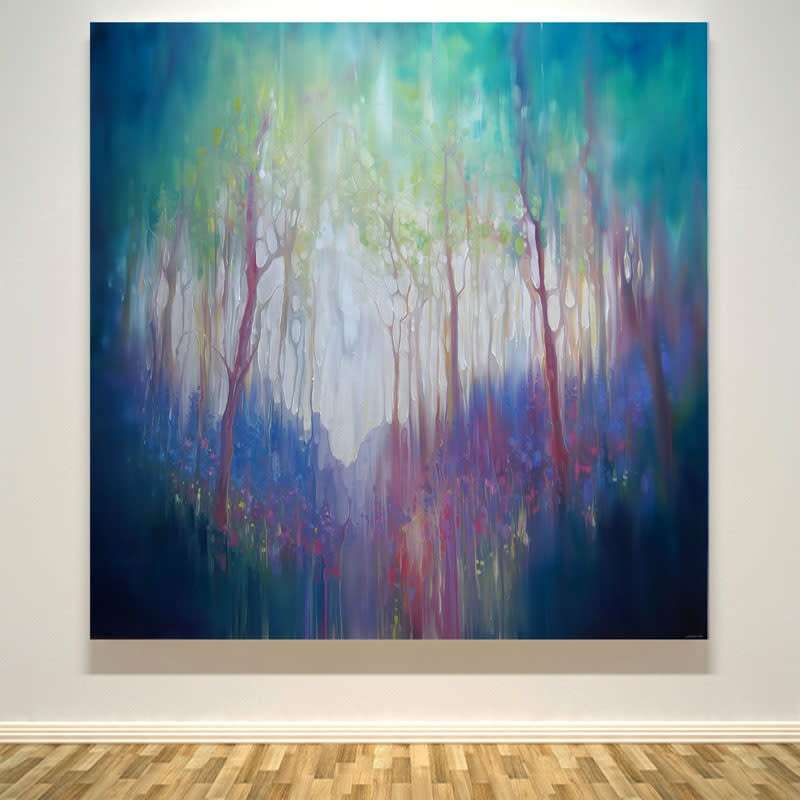 The Promise is a 40x40x1.5 inches large woodland bluebell abstract oil painting on deep edge canvas, white edges, ready to hang. 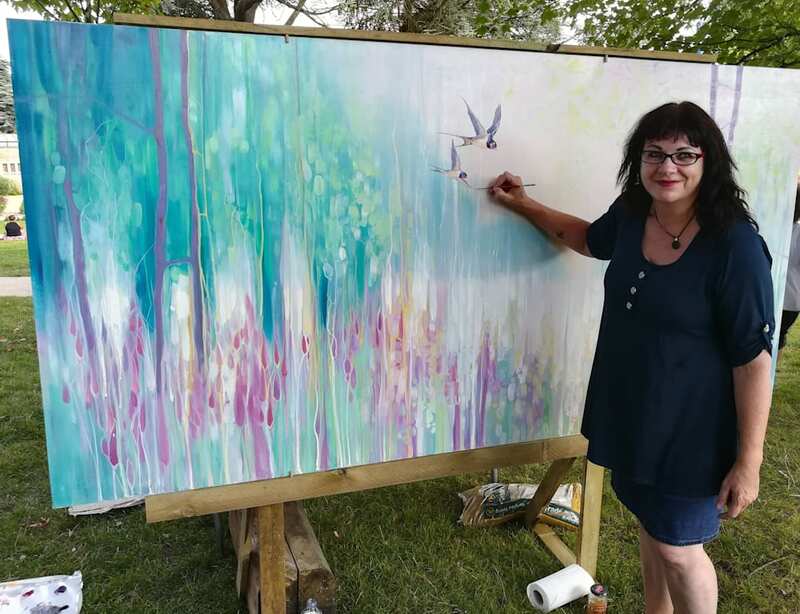 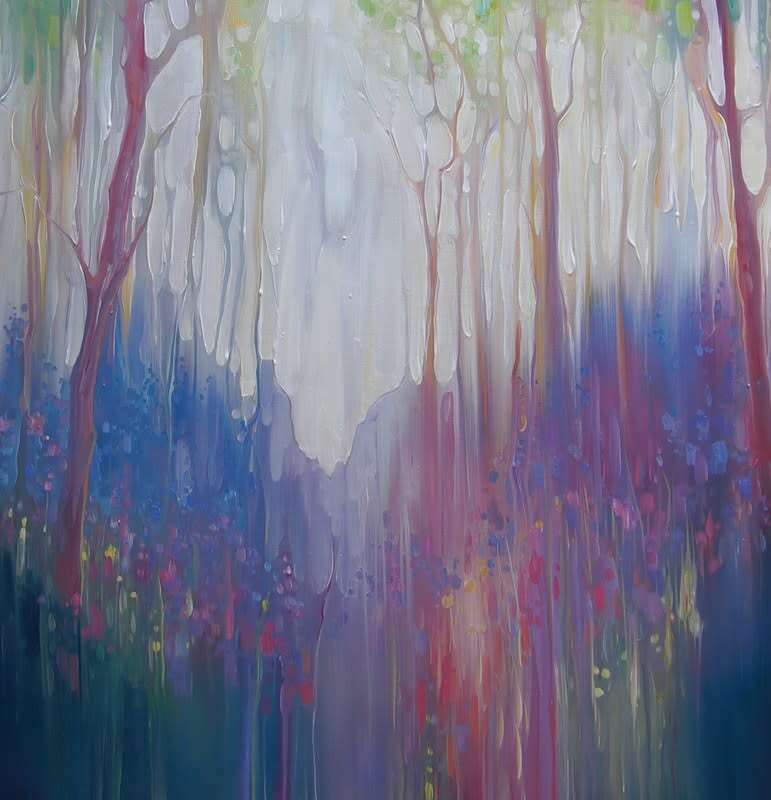 The style is expressionist and abstract and was made using both blending techniques and thick impasto paint to give the impression of the colours and shapes of a forest clearing with bluebells and light through the trees behind them. 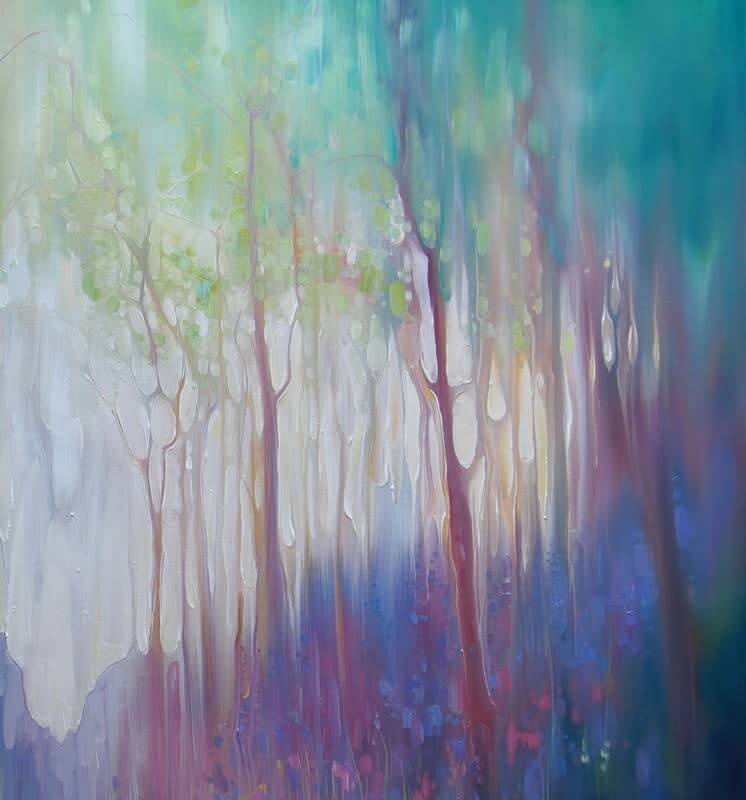 The colours are muted blues, lilacs, greens and pinks and represent a memory impression of mine of bluebell woods in Sussex in Springtime. 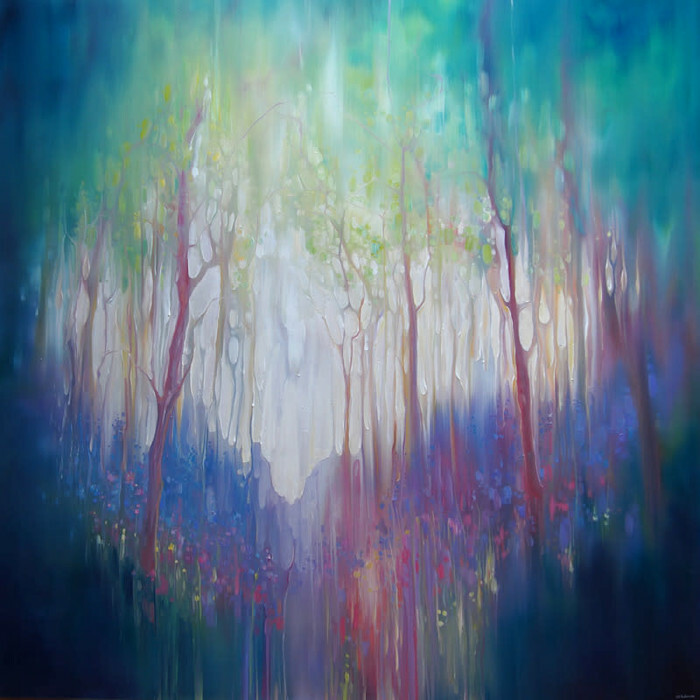 As with many of my woodland path and clearing paintings, there is a hint of the possibility of revelation and magic. That is because woodland walks always give me the feeling that magic exists and that I may find exactly what I want just around the next bend. 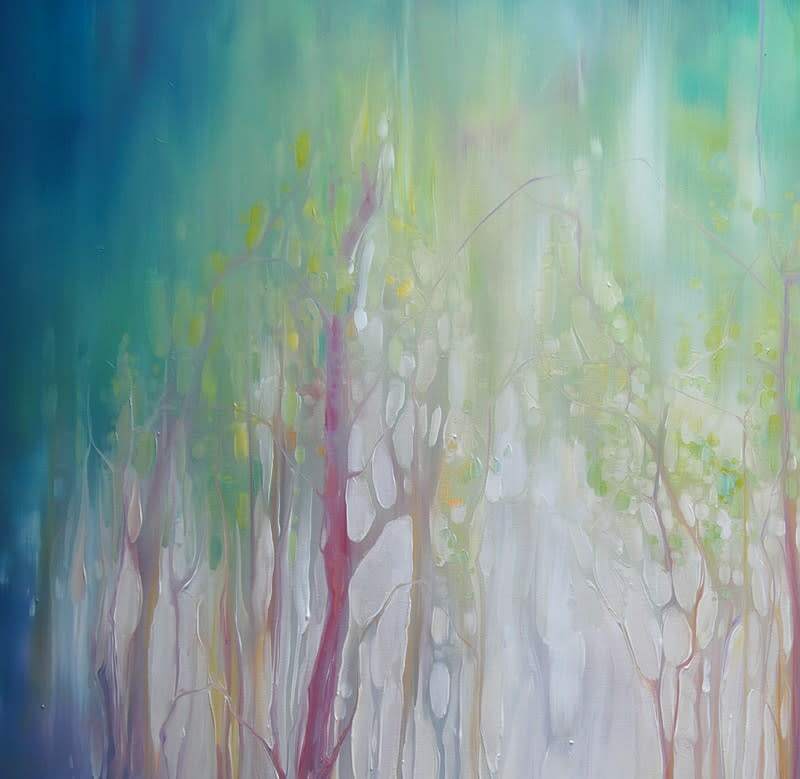 Oil paint has the lovely quality of reflecting different textures and hues as the sun moves around the room. 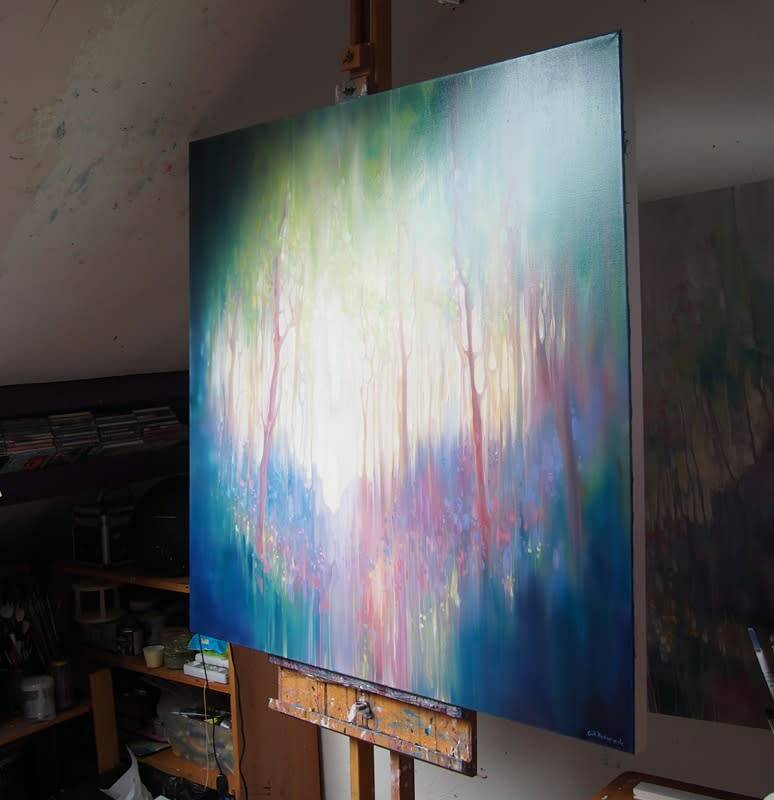 This one is no different and seems to act like a real woodland glade in April as the light changes and even though it is not 'realistic' as such, it nevertheless gives a definite feeling of the beautiful fleeting moment in Spring when bluebells flood the woodlands of England.